The CCST Science Fellows are excited to welcome some new “siblings” to the State Capitol this week! 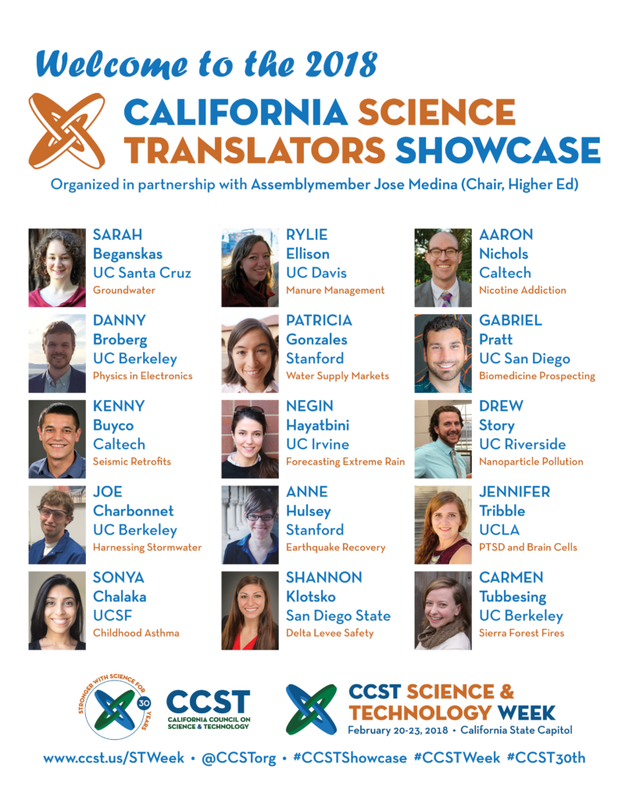 CCST has invited 15 talented graduate students and postdocs for its inaugural “California Science Translators Showcase” — which will take place on Tuesday, February 20th, 2:00 p.m. to 4:00 p.m. in the State Capitol basement. This inaugural class of CCST Science Translators will be practicing a crucial skill — translating science for policymakers. The event format intentionally breaks from academic tradition: instead of presenting large posters or lengthy slideshows packed with dense jargon, these 15 young scientists will simply be armed with their flair for conversation and their budding talent for communicating science. Candidates had to submit audition videos in which they had to explain the relevance of their research in less than 60 seconds; the 15 invited presenters then underwent training webinars and other exercises to prepare for the networking event. 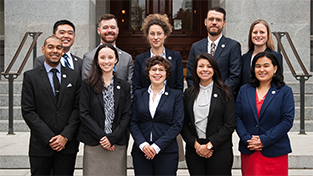 Many in this inaugural class of CCST Science Translators are presenting at the Capitol Building for the first time in their career, and their areas of expertise span timely topics such as earthquake safety, wildfire management, water supply and water quality, and public health. 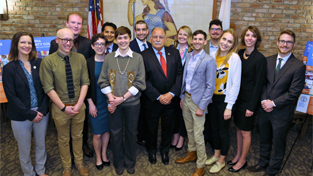 The 15 presenters were recruited from University of California, California State University, Stanford, and Caltech campuses — all member organizations of CCST. Anne will explain strategies for cities to manage heavily-damaged buildings and optimize post-earthquake recovery. Drew will explain how nanoparticles in personal and household products might affect our septic systems and water quality. Carmen will explain current thinking in fire ecology and how forest management can reduce wildfire risk. The California Council on Science and Technology is a nonpartisan, nonprofit organization established via the California State Legislature in 1988. CCST engages leading experts in science and technology to advise state policymakers ― ensuring that California policy is strengthened and informed by scientific knowledge, research, and innovation. Find CCST on Facebook at facebook.com/ccstorg, on Twitter @CCSTorg, and on LinkedIn. 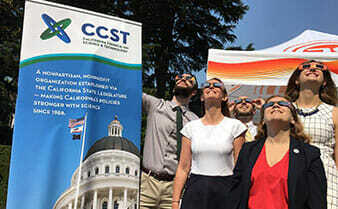 Discover how CCST makes California’s policies stronger with science at www.ccst.us.